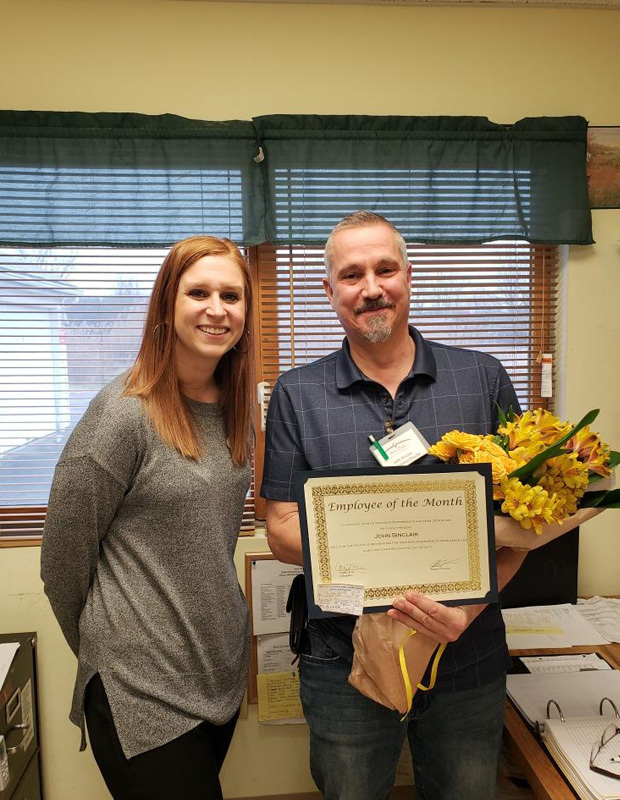 John Sinclair is our January Employee of the Month with Administrator Courtney Craig. With a new year comes new reasons to celebrate! 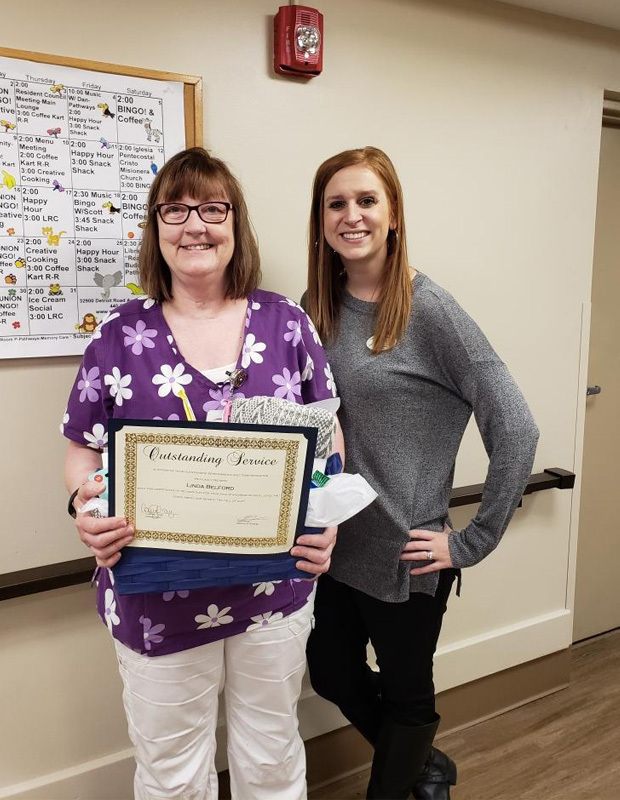 At Avon Place, we are so fortunate to have such a great community of staff, residents, and families. We are grateful each day to work alongside one another and our community. In these few short weeks of 2019, we already have so many great things to recognize! 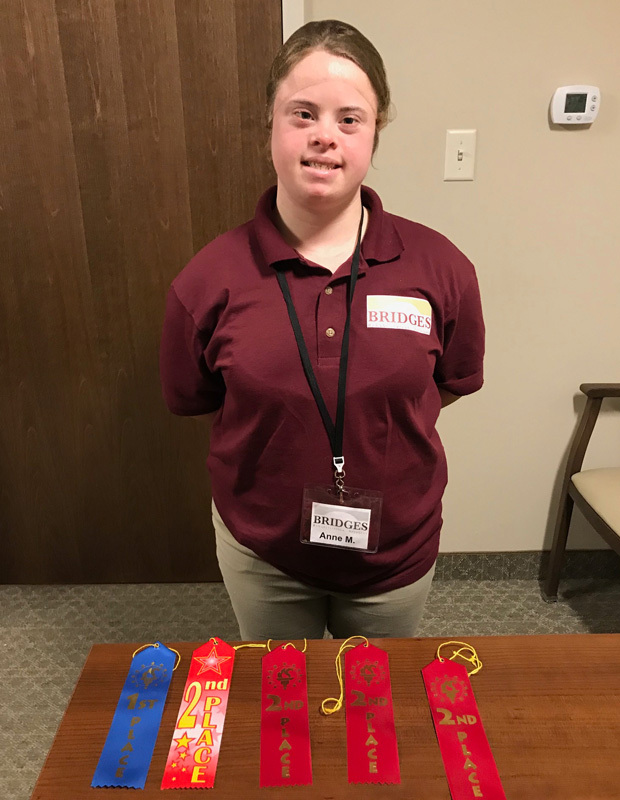 Annie from Bridges won 5 ribbons at her swim meet in Beechwood January 12. Linda Belford Bravo Board winner with Administrator Courtney Craig.